One of the odd things about my particular brand of ADD is my ability to hyper-focus. I’m rarely able to do this when I actually *need* to, but sometimes when I’m painting I can fall into these zen-like modes where I focus on nothing else but the canvas right in front of me for hours and hours on end, forgetting to eat and often forgetting to breathe too. I catch myself holding my breath all the time when I’m really focused on something. Not good! Not surprisingly, when I get interested in something new I can obsess over it for days or weeks at a time, endlessly researching until I eventually get distracted by a new topic (SQUIRREL!). 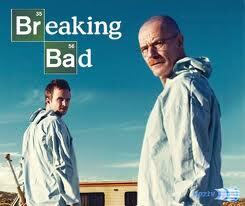 My current obsession: the TV show Breaking Bad. I love so many things about this show. The characters are so well written – complicated, a mix of good and bad, just like real people are. There are no clear good guys. There are a whole bunch of bad (and badder) guys, but no obvious path to take, no “right” answer. Most of all, I love the way the writers allow the story to unfold without that overbearing narrative style so prevalent in entertainment today. It’s up to the audience to figure out what the main characters are thinking and feeling. I hate it when viewers are beaten over the head with explanations of here’s what’s going to happen, here’s what’s happening now, here’s what just happened. Give the audience some credit, Hollywood! 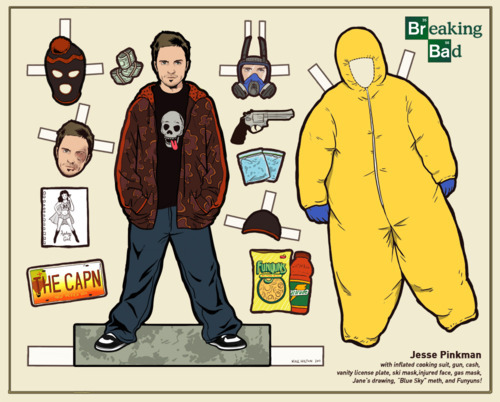 Adding to the obsession – there’s also a companion podcast to go along with each episode of Breaking Bad. I haven’t gotten through all of them yet, but there are some fascinating tidbits about how the show is made, the writers room and all of the behind the scenes stuff that go into producing a TV show. The fact that each episode is shot in only 8 days is astounding, particularly with some of the crazy explosions and shoot outs. One episode often feels like a movie, which would have been allowed months and months of filming. Art lovers may have enjoyed the episode where Jesse and Jane go to the Georgia O’Keeffe museum (technically it was in a flashback, but still a really sweet moment). While watching, I assumed the show got permission to shoot at the actual museum and briefly wondered how many hoops that was to jump through. In the podcast, the producers reveal just how much effort went into that 2 minute scene. First, they contacted the Georgia O’Keeffe people to request the rights to show one of her paintings on camera. Shooting at the museum with one of her original paintings was never even considered. Instead, they were granted the rights to one painting (“My Last Door”), and the art department of Breaking Bad set out to reproduce it. Once they were finished, the painting was sent to the Georgia O’Keeffe people for approval. The painting was approved, the set built and the scene shot with very wide aperture so any paintings in the background were blurry & indistinguishable. 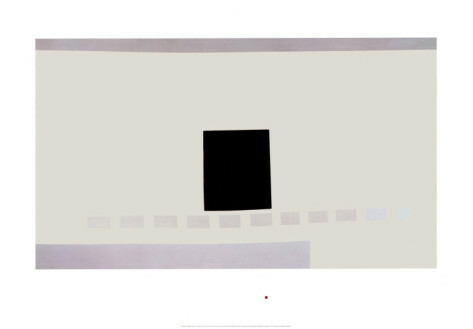 Once the crew was finished, the painting had to be sent back to the O’Keeffe people to be destroyed. Wow, right? It’s amazing how much effort by so very many people goes into creating a show! I’ve never wanted to be an actress, but I think being involved in production, set design or special effects would be really fun jobs. In another life, maybe!